Between 2011 and 2016, the City of Goleta completed 149,790 kWh of savings through the SCEEP partnership, or enough to power about 10 average American homes. These projects included lighting upgrades and plug load sensor installations at City Hall and the Goleta Valley Community Center, and the replacement of all traffic intersection safety lights with energy efficient LED lights. In addition to these savings, Goleta conducted lighting upgrades and occupancy sensors at four public schools. 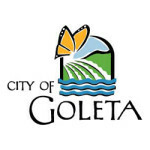 During that same period, Goleta adopted a “Reach Code” which established local energy efficiency standards 15% more stringent than the State requirements and utilized awards from the California Energy Efficiency Strategic Plan Implementation funds to 1). Publish an energy efficiency action plan in 2012 creating a framework for identifying and implementing energy efficiency measures in the city, and 2). Develop a Green Building Program that includes a policy requiring certain new government facilities to achieve the United States Green Building Council’s Leadership in Energy and Environmental Design (LEED) rating system Silver certification. A detailed description of the City’s energy efficiency success and future plans is available in their Energy Efficiency Action Plan. 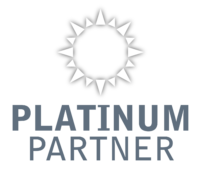 The City of Goleta is currently a PLATINUM Partner, the highest partnership level.